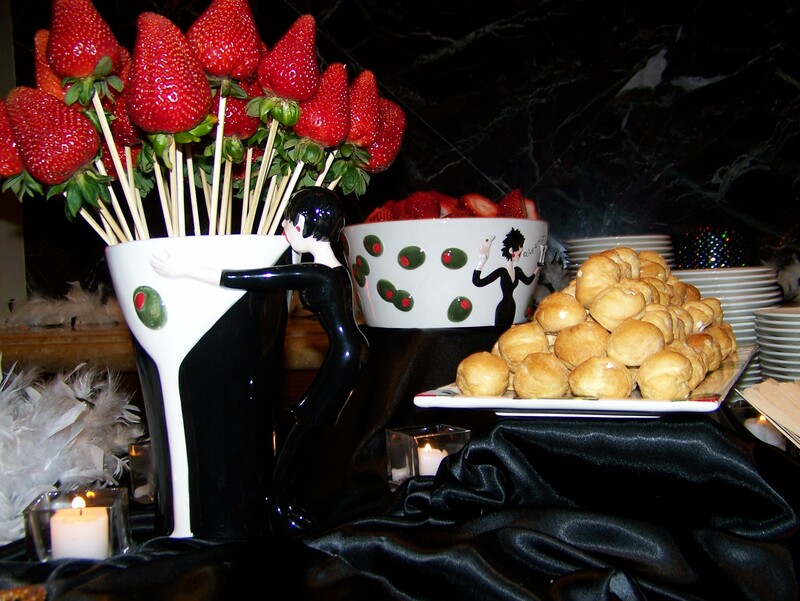 Looking for a memorable way to FEED, DELIGHT AND ENTERTAIN your guests at the same time? 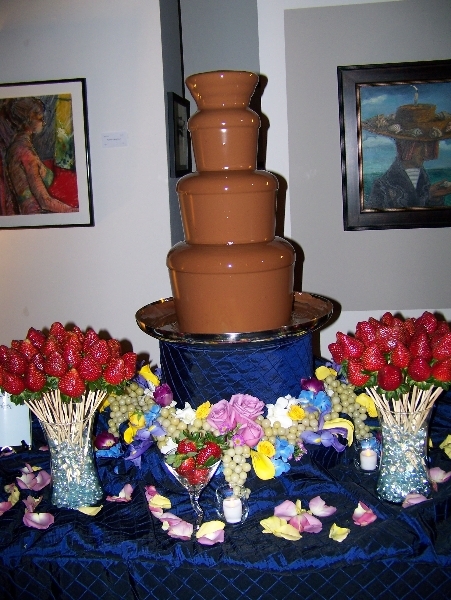 Chocolate Haven’s Chocolate Fountains are an unique, entertaining as well as sinfully delicious appetizer/dessert station with something to tempt everyone’s taste buds. 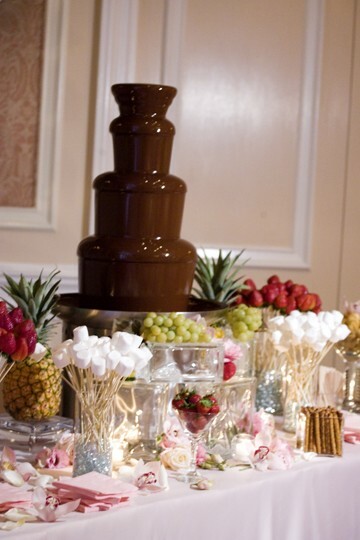 Dipping treats into the flowing chocolate gets your guests mingling right away, is interactively fun and starts your event off with a delicious “bang”! We eat with our eyes first! 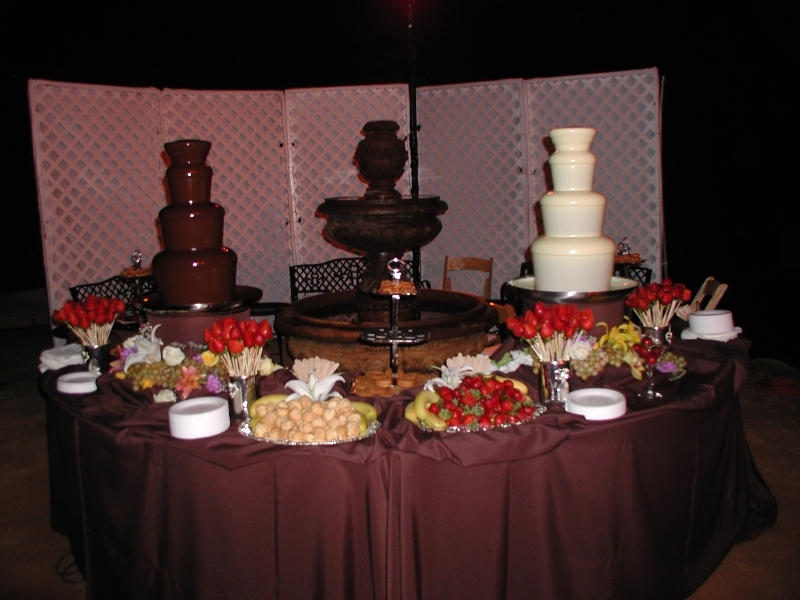 Creating an eye-catching, temptingly gorgeous fountain presentation is a culinary imperative. 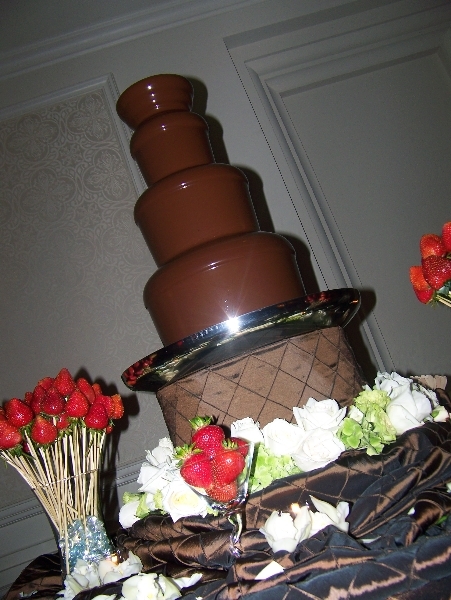 We design an unique centerpiece based on what you want and envision, guaranteed to awe and “WOW” you and your guests. 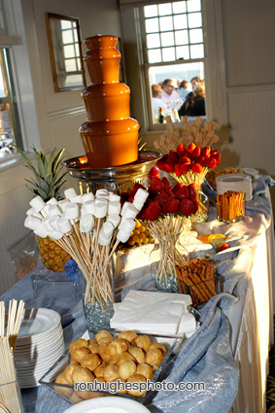 Then we fulfill that visual promise with the best tasting chocolate and dipping treats. 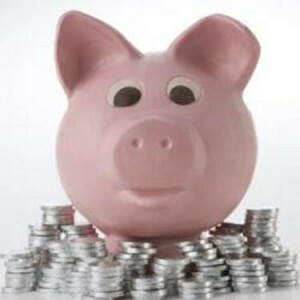 We top that off with a huge helping of caring professional service. We love what we do, and it shows! There simply is no other service that compares to ours. 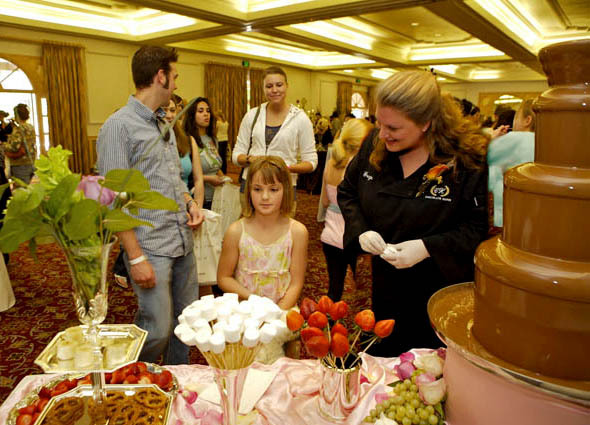 Once a Client, Corporation, Venue, Caterer, or Event Coordinator works with us once, they use us exclusively for all their future events. That speaks volumes of the exemplary service we provide. 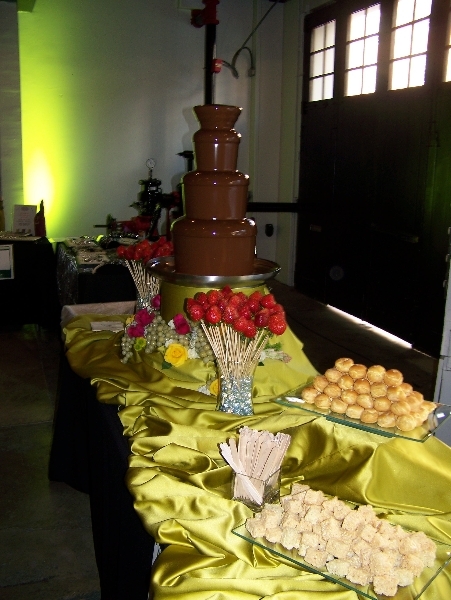 Chocolate Haven is San Diego ONLY AWARD-WINNING (please CLICK HERE to learn more about us), most established, and only FIVE-STAR chocolate fountain service. 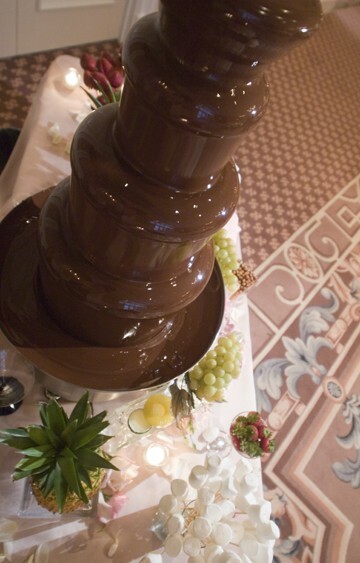 Chocolate is all that we do! Focusing on one thing and doing that one thing the best is part of our winning recipe. 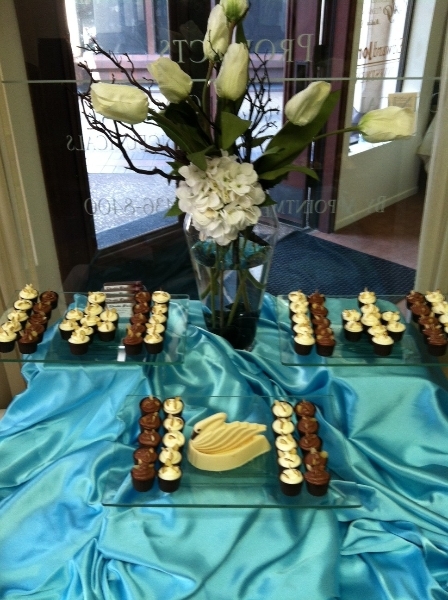 Your absolute delight is our goal and what drives our continued success year after year! PURE BELGIAN CHOCOLATE from Callebaut (with no added oil) – ALL NATURAL GOURMET INGREDIENTS in our “secret recipe” that perfects the flavor and increases your cocoa content. 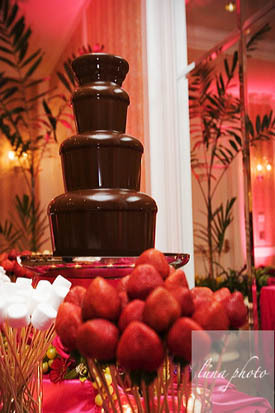 LONG-STEMMED STRAWBERRIES – hand-picked and inspected for HUGE SIZE, SUPERIOR SWEETNESS, and PRE-SKEWERED and arranged to look like beautiful bouquet. YOUR CHOICE of the freshest and highest quality of ORGANIC fresh fruits, cookies, and pastries. TONS OF SERVINGS of each dipping item per guest. 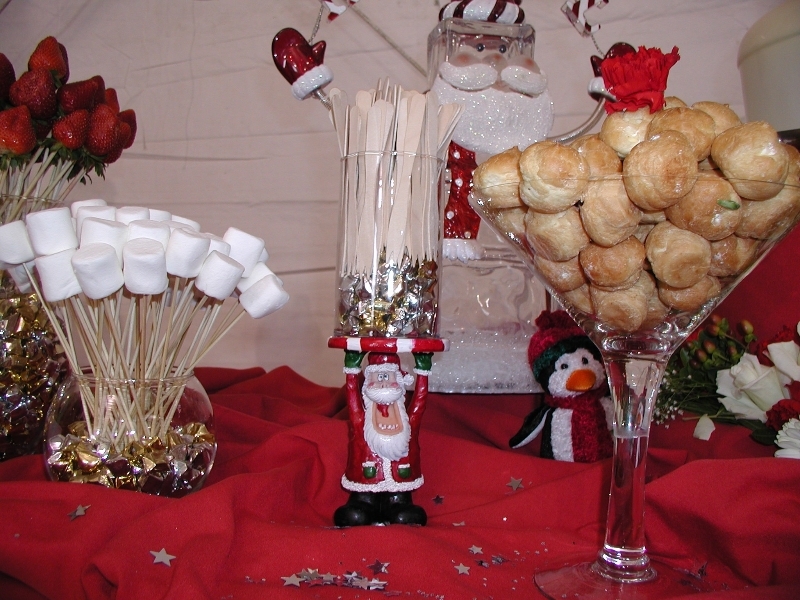 YOUR CHOICE of all beautiful serving ware – everything from sterling silver to contemporary crystal/glassware to china novelty sets and an extensive line of holiday and theme serving ware so we coordinate beautifully with your vision. 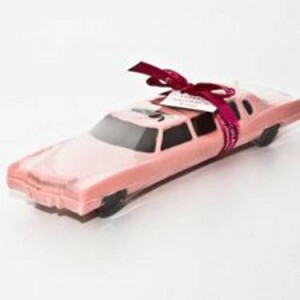 FIVE-STAR SERVICE – you will be on the receiving end of “old school”, caring, reliable, efficient service from the experts. 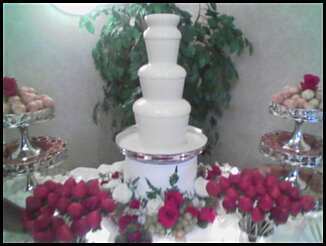 NO TWO FOUNTAINS ARE EVER ALIKE! 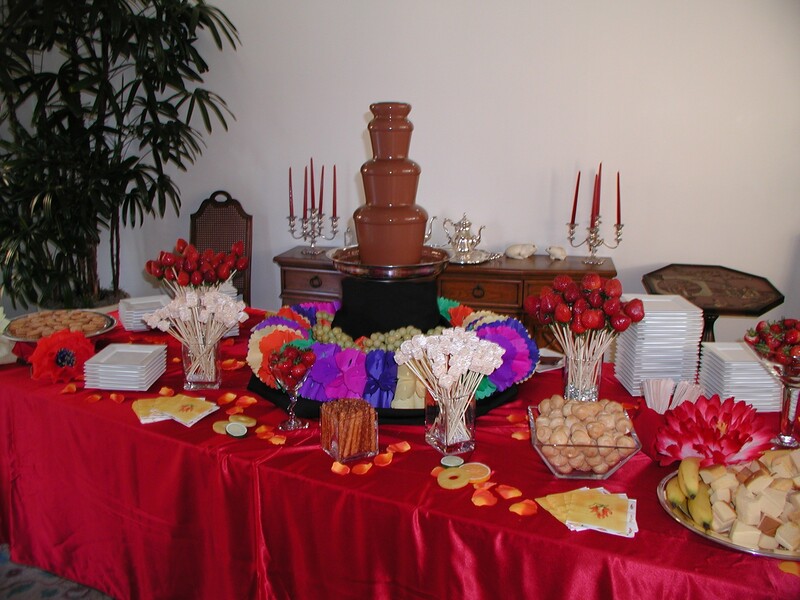 Unlike any other company that provides chocolate fountain service, with us YOU GET TO CHOOSE from our lovely, high-end serving sets. We have so many: sterling silver, glassware, porcelain china, crystal – you name it. We also an extensive collection of holiday serving ware and even some great novelty sets to choose for when you are feeling whimsical. Our Owner, Georgie is always purchasing new unique, high-end serving ware so there is always something new to choose from. Whatever you envision, we can create! We are proud to now offer another elegant, entertainingly delicious way to indulge in chocolate – our Belgian White and Dark Chocolate Mousse – so light and fluffy, they melt in your mouth. You will love the flavor and smooth texture. Everyone who has tried it exclaims that it is the best mousse they ever tasted! 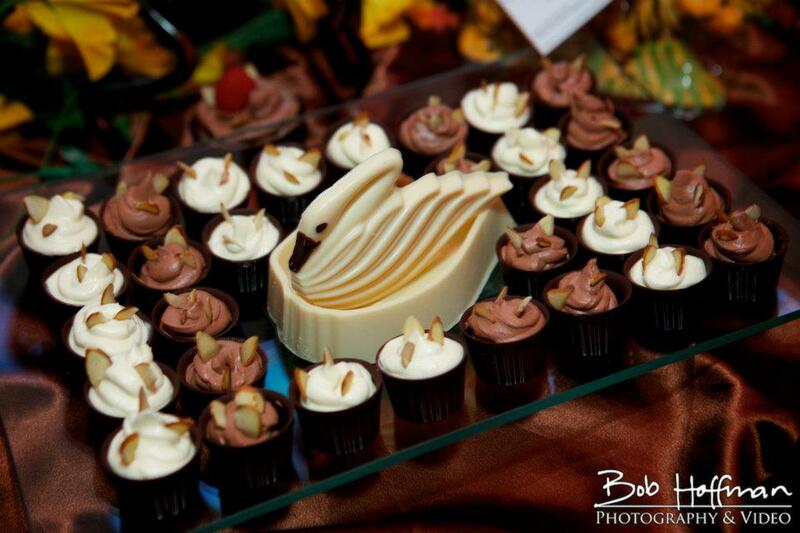 Presented in edible dark Belgian Chocolate cups, guests delight in indulging in two desserts in one! Revel initially in our white or dark mousse and then further your enjoyment by devouring your scrumptious Dark Belgian Chocolate serving cup. 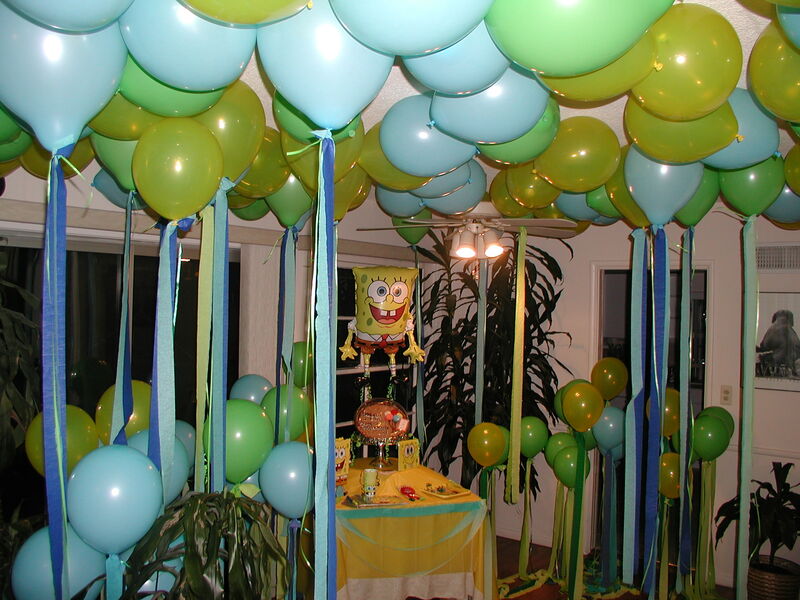 What a way to go green! 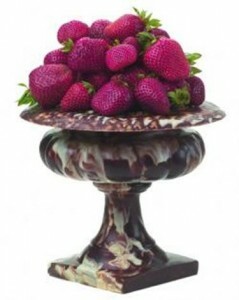 Offered in 1 0z “amuse-bouche” serving (pictured above) which in French literally translates as “mouth amuser” (and they certainly do) or in our 4 oz chocolate serving cups, they can be garnished with slivered almonds, a fresh raspberry, or edible gold dust. 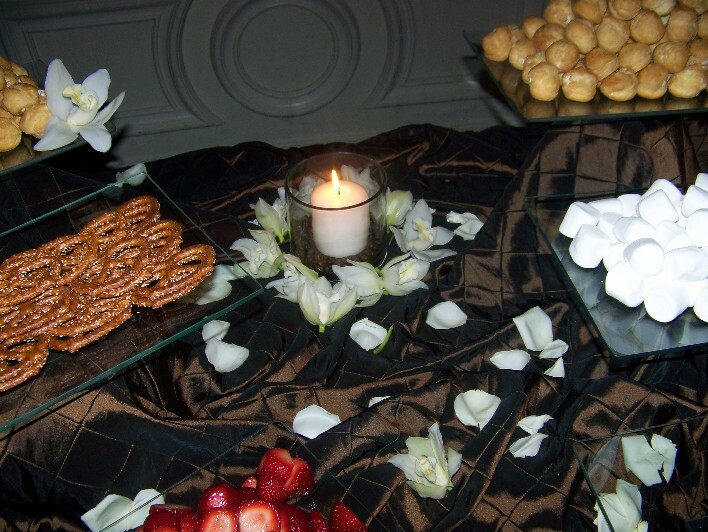 Our mousses are a decadent, first class way to get your chocolate craving met! Absolutely delicious as a appetizer, dessert, or a unique favor! 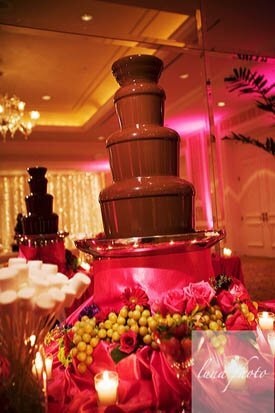 For years, our loyal wonderful clients have been asking me to use our special chocolate recipe to create chocolate favors. 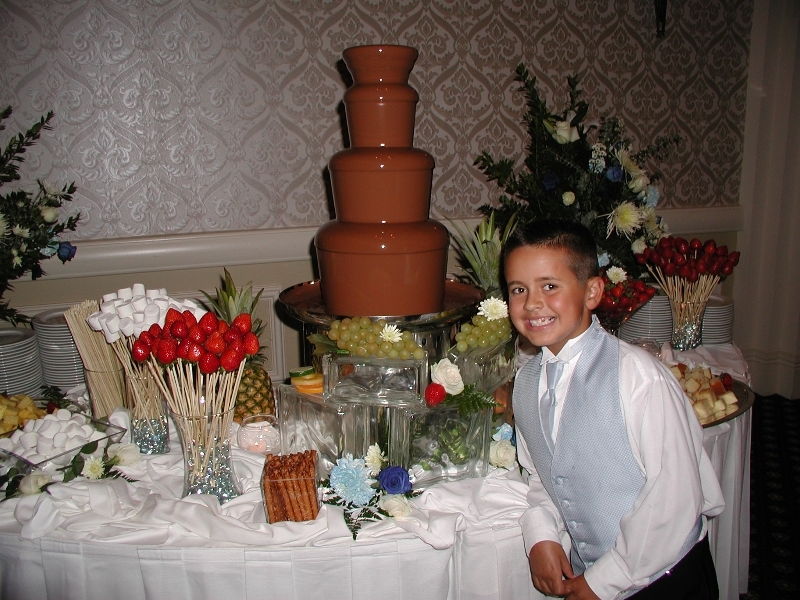 After spending several years researching, I am pleased to announce we are offering a truly unique gallery of chocolate figurines and favors. 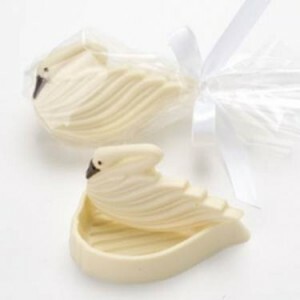 All our figurines are highly detailed, hand-made in our wonderful chocolate. 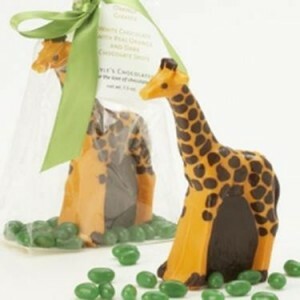 Please be sure to peek in our chocolate figurine gallery. There is something for everyone and great holiday selection as well. 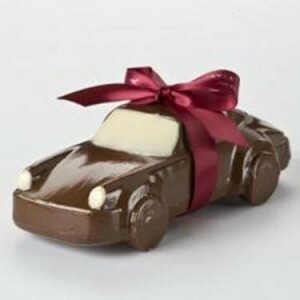 Allow Chocolate Haven to create a wonderful, lasting life memory. 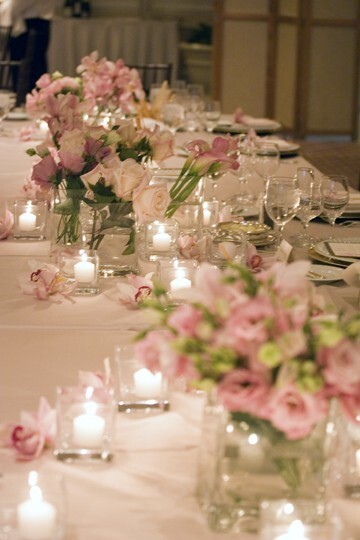 We look forward to being a part of your special event. Serving San Diego, Carlsbad, La Costa, Del Mar, Encinitas, Leucadia, La Jolla, Torrey Pines, Rancho Santa Fe, Solana Beach, Mission Beach, Pacific Beach, Mission Valley, Fallbrook, Julian, Santee, La Mesa, El Cajon, Mission Valley, Mission Hills, Hillcrest, Downtown San Diego, Temecula, Escondido, Chula Vista, National City, Laguna Beach, Dana Point, Laguna Niguel, Orange County, Newport Beach, Mission Viejo, Laguna Hills, San Clemente, Los Angeles, Hollywood, Beverly Hills, BelAir, Pacific Palisades, Santa Monica, and more. 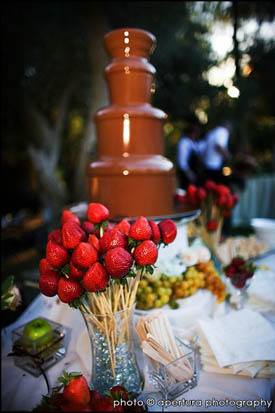 Please contact us for any event in Southern California!